In a recent survey by VictoriaPlum.com, nearly a quarter of all people stated they would prefer to live in the countryside. Whilst suburban living came out on top, with around 60% of people preferring to live on the edge of town, a cosy country cottage is many people's idea of an idyllic, rustic retreat, featuring a proper farmhouse kitchen, dining area, and a snug living room with the obligatory roaring fire. Just the place to curl up with your faithful family pet and keep warm. Whilst we're talking facts and figures, The World Bank states that a whopping 82% of us in the UK live in what we would term an urban area. So the yearning for a more peaceful and sedate way of life is quite understandable. But it really doesn't matter whether you live in the leafy suburbs of Surrey, or even in a mid-terrace townhouse in Manchester, you too can achieve a country home, no matter where in the world you find yourself. When it comes to furnishing your country home, wood is a great place to start. Oak is a firm farmhouse favourite, and your furniture should appear soft, handmade but with a chunky, solid feel to it - much like a good cableknit jumper. Country living wouldn't be country living without a calming and warming colour scheme. Earthy and woody tones are absolutely ideal, as are more vintage-inspired colours such as cream, sage green and brown. Lilac, yellow and even grey can work really well, when looking to achieve a rustic palette. However, your country colour scheme can have a major influence over the direction your style takes. For example, if you are looking to create a more vintage French country style, pastels are the way forward. The true hallmark of country living is, well, a hallway. But the hallways of country homes are busy places. Wellies and outdoor shoes need somewhere to live, along with those wax jackets and gillets that are required for different types of weather. 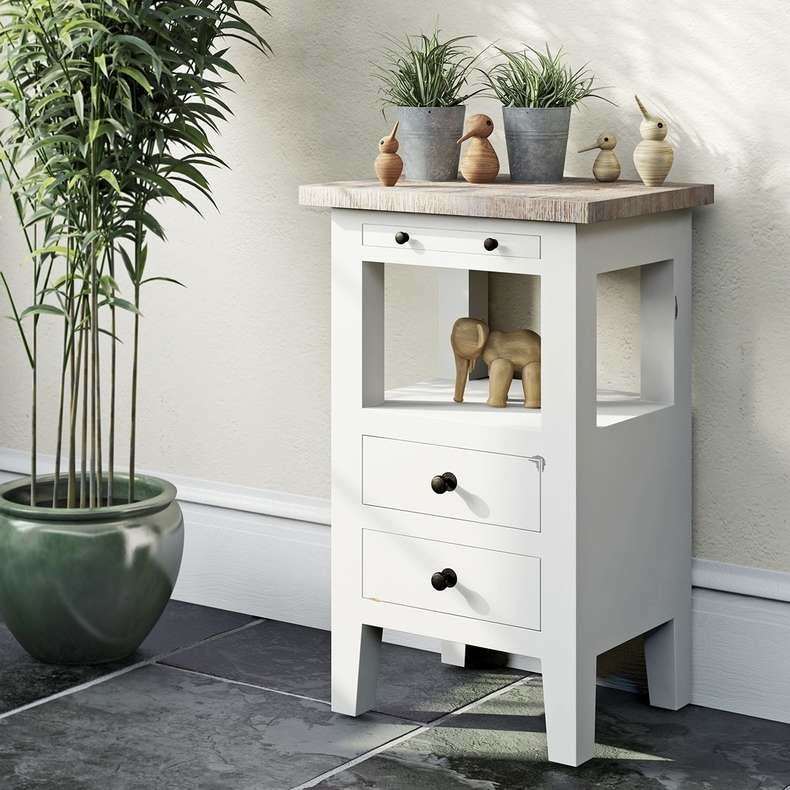 A monk's bench is the perfect item for your hallway. 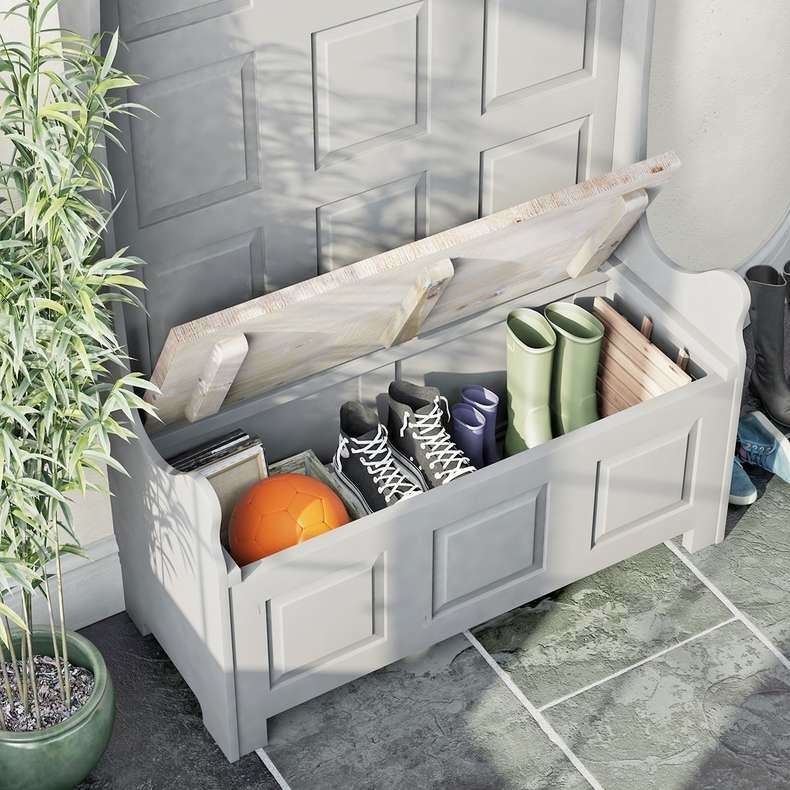 With a flip up lid and pegs it is a neat storage solution that blends in, with its rustic charm and style. Whilst being highly relaxing, country homes are also very functional. 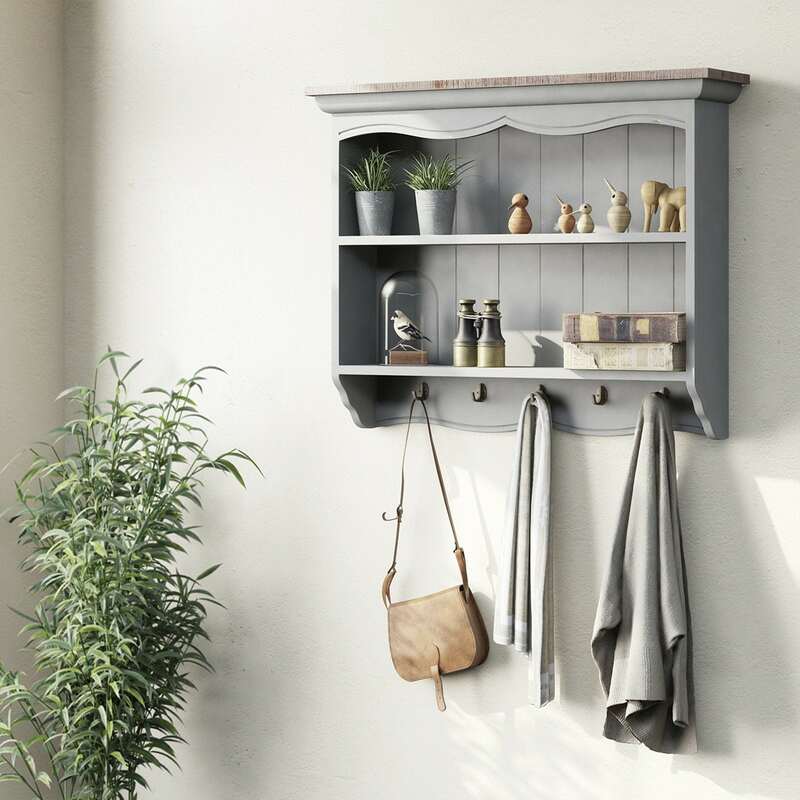 A vintage style storage rack could be used in the kitchen, dining room or hallway, providing extra space for a whole manner of different objects, from spices to CDs. Your choice of soft furnishings will help everything blend seamlessly. The items you choose should have a craft and handmade feel to them, from wicker baskets to chunky knit blankets. Checked or striped patterns work particularly well, with cushions made from linen or wool. Just because you're going for that rustic, country home style, doesn't mean it has to be all horse brasses and coal scuttles. If you think creatively, many items can be picked up from charity shops are repurposed. Enamel jugs are the perfect vintage alternative to vases for flowers, whilst wall hangings can utilise more natural materials, such as wood craft carvings. Why not intersperse terracotta elements, such as plant pots or miniature sculptures? For this and more tips on creating a rustic country home, follow us on Twitter @VictoriaPlumUK. Whether you live in the city or out in the sticks, one design that never seems to lose its popularity is the country style bathroom. Find out how you can turn your bathroom into a rustic retreat with our top tips. Introducing the new and exciting collection of hand-finished living furniture by Reeves, exclusively available at VictoriaPlum.com.